In each case, we’ve looked at power, precision, and accessibility. After all, you don’t want a heavy mixer that’s cumbersome to hold on to, but neither do you want one that takes forever to actually mix anything properly. Expect great options here whatever your budget. The Braun MultiMix Hand Mixer looks like the mixer that Darth Vader would use and it’s just as effective (at mixing, not furthering the goals of the Empire, that is). Its 350w engine means it’s typically 50% more powerful than most of its competitors so mixing is faster and more effective here. It has a one-handed control system so you can easily turn the speed dial to adjust between the 9 speeds available to you. 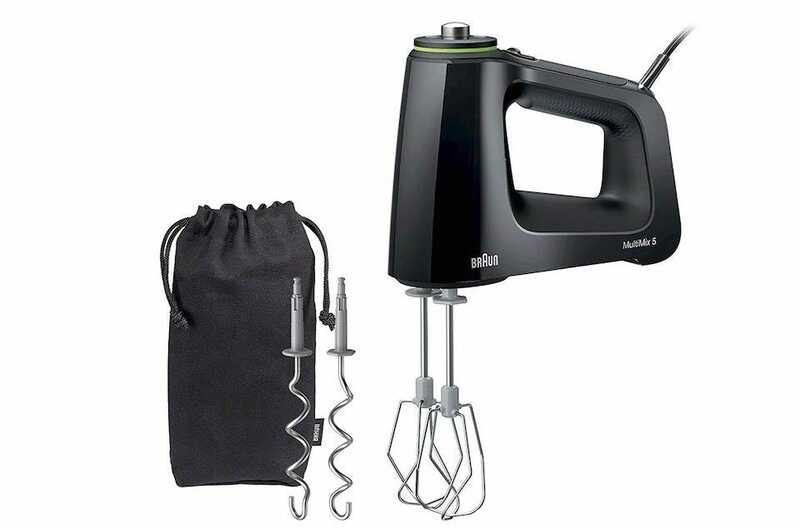 Alongside that are multiple attachments so there’s a whisk or beater for every baking or cooking scenario. In particular, its sturdy dough hooks are great for preparing homemade bread or pizza. It’s far from heavy either, weighing in at just over 2lbs and with an ergonomic handle for extra grip. 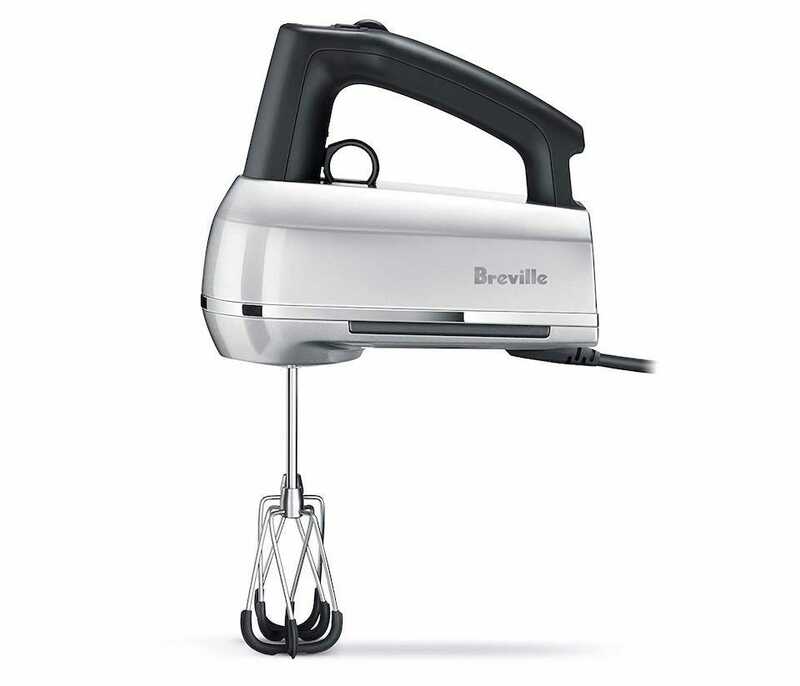 The Breville Handy Mix Scraper Hand Mixer is a pretty clever hand mixer. It’s not as powerful as the Braun but it knows how to use its 240w motor perfectly. That’s because of its Beater IQ interface which automatically detects the type of attachment you’re using then adjusts the speed appropriately so you get the most out of it. Alongside that, it remains quite quiet with scraper beaters that resist clanging the sides in order to maximize contact with the contents of the bowl. Its motor is quiet too, no matter what speed it’s running at. Additionally, there’s a mixing light so you can view ingredients easily while they mix, and there’s a count-up timer for precise mixing. For plentiful features, you can’t go wrong. A good hand mixer doesn’t have to cost a ton, providing you don’t need all the features possible. The Hamilton Beach Hand Mixer demonstrates that. It has a 250w motor which is good for most mixing tasks. That’s backed up with six speeds and a QuickBurst button for a quick boost. The beaters and whisk are fairly conventional so don’t expect anything too fancy and innovative here, but it’s still good for most regular tasks. Where the Hamilton Beach Hand Mixer stands out a little is its bowl rest feature so you can easily leave it hanging on the side of a bowl without a problem. There’s a snap-on storage case too which is great for when you need to store it in a cupboard for an extended period of time. 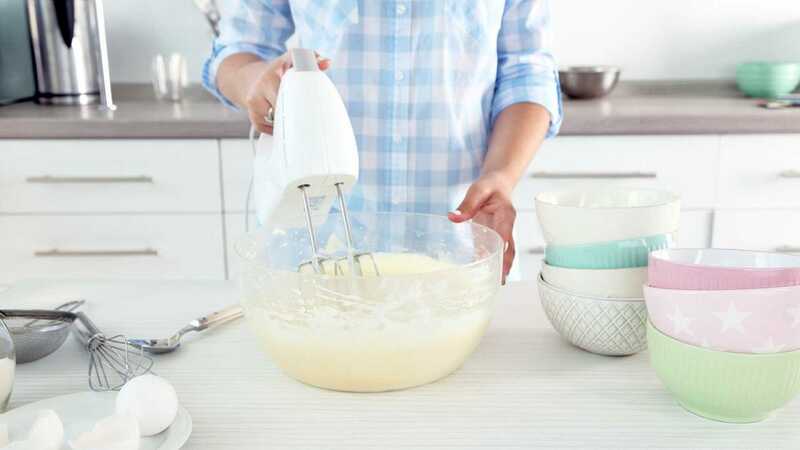 A heavy hand mixer isn’t an issue if you’re mixing something in seconds but what about if it takes a while? 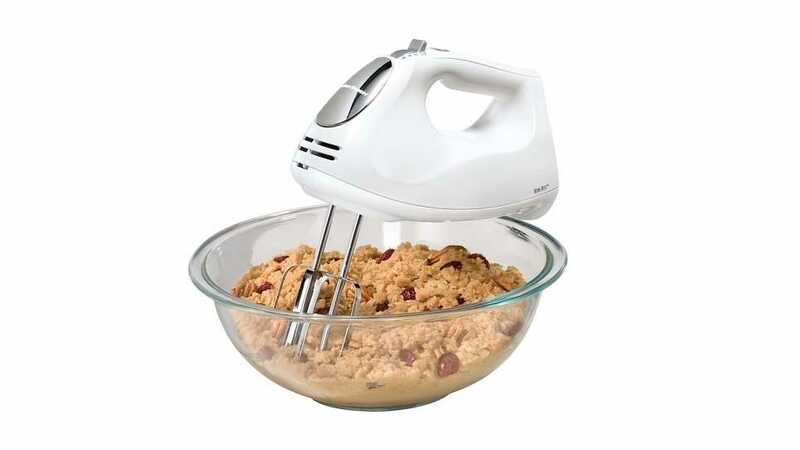 Arm and hand strain can be avoided if you buy a lightweight mixer like the KitchenAid 7-Speed Digital Hand Mixer. It only weighs 2lbs yet it’s suitably powerful. 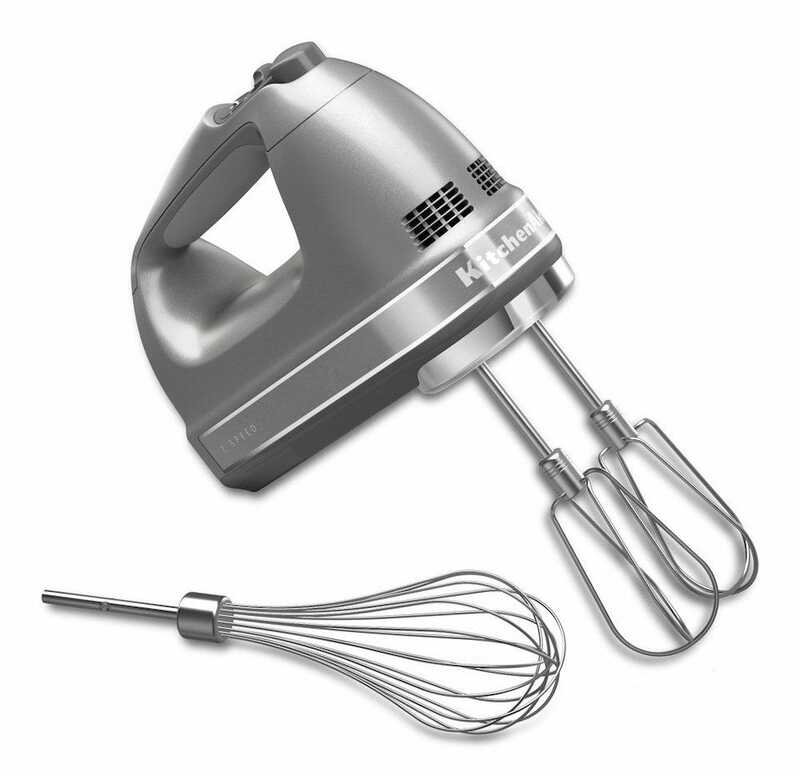 It has a 7-speed motor so it’s good for everything from slow stir-ins to whipping up meringue. A soft start feature means it slowly builds up too so there’s no risk of splatter in your kitchen. Besides being lightweight, consideration has been made for the handle so it offers a soft grip that’s also ergonomic. 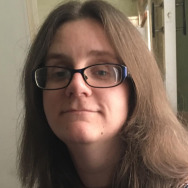 Such thinking means it’s particularly ideal for users who have mobility issues and require something a little lighter than some other hand mixers. Want a huge amount of options when it comes to speed? 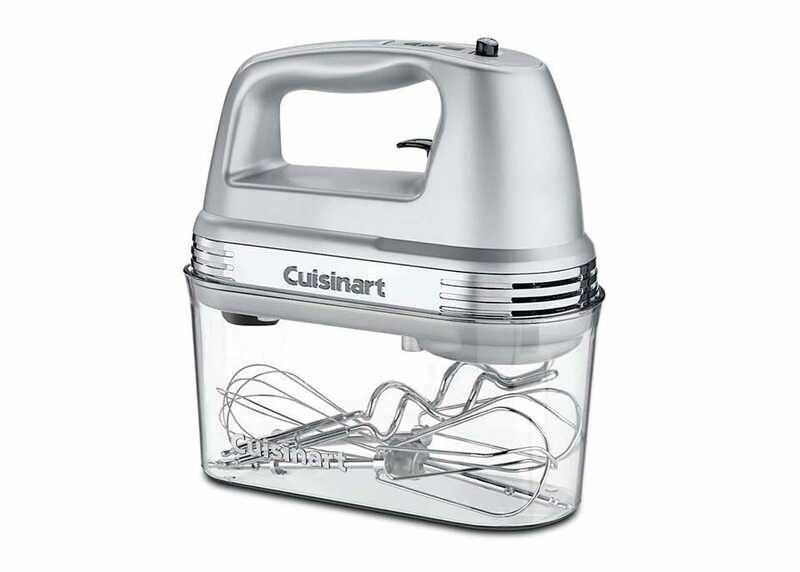 Buy the Cuisinart Power Advantage Plus. It has a whopping 9 options when it comes to speed. That includes 3 low start speeds so you can ramp things up without splattering food everywhere, along with some far more powerful speed options. 220w might not sound like much but Cuisinart has made sure it packs a punch where it counts. It’s pretty aggressive at high speeds so expect to pay the price of loud noises in exchange for effective and speedy mixing. For your storage needs, it also comes with a storage case so you can easily pack everything away for another day without any hassle.